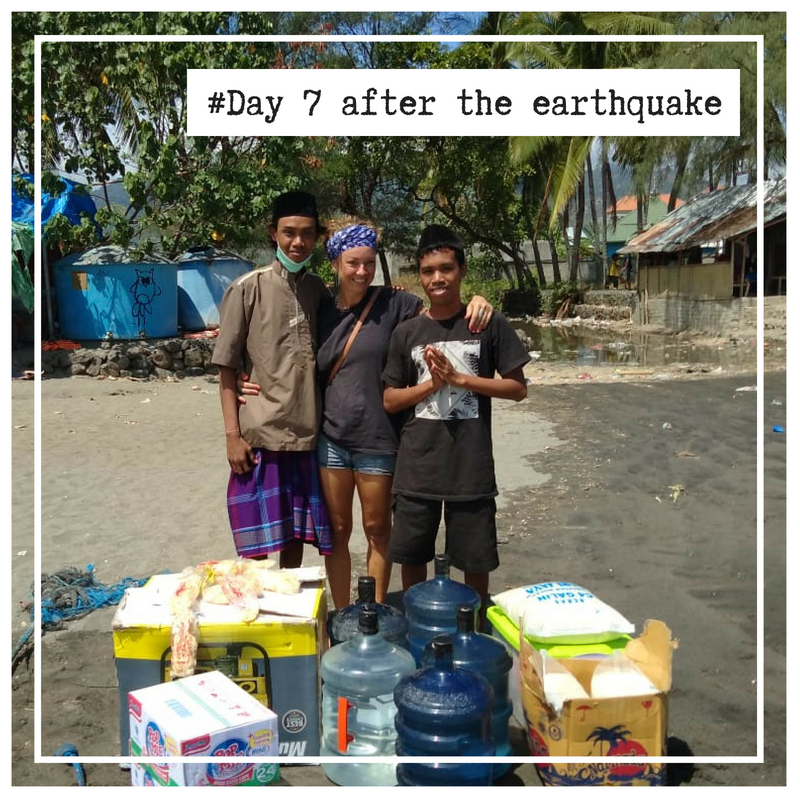 Day 7 after the 7.0 earthquake that hit the Gili Islands and Lombok in 2018. The weird thing about devastating loss is that life actually goes on. When you’re faced with a traumatic experience and you have no clue how you will life through it, somehow the world keeps turning and the clock keeps ticking. The sun is still rising every morning and the stars are still showing off how pretty they are at night. I can’t believe today is day number 7. Last Sunday seems so far away and at the same time it feels like it was yesterday. I still don’t want to be close to any buildings and with every unusual sound I jump up and start running. Even when our house would still be standing I would still prefer to sleep under the starts outside in the field. I realized quickly that keeping myself busy turns out to best method of moving on. We try to life as normal as possible in this abnormal situation. Yesterday I was scrapping the leaves in our beautiful tropical garden while of course this doesn’t make any sense. Why would a person that is already exhausted waste energy on scrapping leaves? It’s not that we have any guests checking in today…. But it helps me to keep my mind from wondering in unwanted directions. We have daily contact with our boys. Pudja, Dan, Iling, Marco and Herman are looking after their families in Lombok. Hendra & Ivan are in a camp in Mataram, Andre and Obed are back in Java and Jack is still with us. Yesterday when I called Herman he told me that his camp (53 people!) are without food and water. My heart broke in tiny little pieces. I know there where many people and organizations in Lombok trying to help out where they can to bring supplies to all the camps in Lombok. But how could I make it happen that supplies would get send to Herman his camp? After a few phone calls I realized it wasn’t that easy and I decided it would be the easiest when I would bring it myself. We started filling our empty gallons with water and as much food as we can. With 2 wheel barriers full of supplies we drove to the harbor, stopped on the way to buy more food and paid one of the local captains to bring us to Lombok. On my way over I couldn’t stop thinking: “how would it be possible that this beautiful island that I am looking at right now is completely destroyed? From here it still looks as beautiful as always”. I couldn’t wait to see Herman, we haven’t seen each other since the earthquake and as soon as I see his friendly face with his beautiful smile I can feel the tears coming again. We hug and hold each other and keep standing like this for a while. Sometimes no words are needed. Slowly slowly the island is coming back to life. As the power is back on the island it isn’t pitch-black anymore during the evenings and the nights and somehow it makes me feel safer. Every day I see more of my local friends coming back to the island and yesterday the supermarket even opened for a few hours! Another moment of happiness and hope. As soon as I saw the lady that owns the shop I got of my bike to give her a big, big hug. She knows how much I love avocados and she immediately handed me a few and didn’t even accept any money for it. 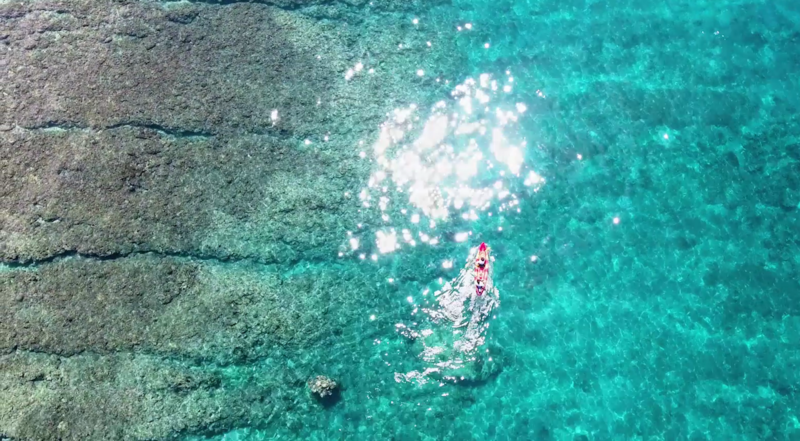 Today it is one week ago and I can see and feel that people that don’t have a direct connection with the Gili Islands and Lombok slowly start continue living their daily life. Where the first few days I got more than a 100 messages a day, now my phone gets more and more quiet. Every day less and less people are sharing our story. And no more journalist are calling me. I know this is normal, everyday the newspapers are full of war, nature disasters and other horrors. But I want to ask you; please KEEP SHARING our story and show the world we still need help! With the money of our crowd funding campaign we will not be able to build a new house or start rebuilding our hotel. But it will help us and our staff to get through the first 6 months. Worrying about money is one of the things in life that can takes the most energy out of you. We all know that a day of worry is more exhausting than a week of work. We need all our energy to stay strong and to focus on our future, and the future of our boys and our island brothers and sisters. I want to ask all of you to take a moment at 7PM tonight (this is the time that the earthquake happened) and surround us with your love and support. Terima Kasih banjak!